As a host, my job never dates me to a proper meal because of the uncertain working schedule. Messing up with my health routine, my weights never decrease since then. 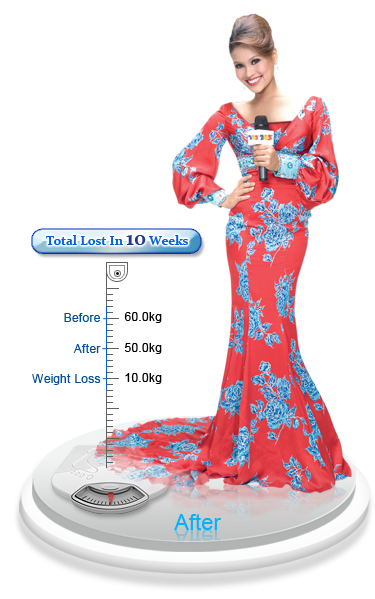 But I’m glad Mayfair Bodyline solved my problem, I had lost total of 10kg in no time! In early, Mayfair consultant had recommends SlimMaster to help me to break out the stubborn fat on my tight and tummy! Currently, I am using MediJet Slimming treatment to maintain my body weight.